One of the few clues given to those trying to find the artist of the painting, previously titled 'Upper Library, Christ Church, Oxford', was an indistinct signature on its front. Osmund Bullock suggested the artist's surname might be 'Simpson' or 'Skipworth'. After further consideration, the name 'Shepherd' was also suggested. Martin Hopkinson commented that it could be the signature of the artist F. M. Skipworth (1854–1929). However, it was pointed out that this painting was unusual for Skipworth, leading others to suggest other possible artists; in particular, Frederick Hawkesworth Sinclair Shepherd (1877–1948). In fact, Shepherd was educated at Christ Church, Oxford – the subject of the painting. Then, Kirklees Museums and Galleries, the owner of the painting under discussion, provided details of two paintings it knew were by Shepherd in its collection. Although useful, the information provided by Kirklees threw up a major discrepancy: the signature in one of the museum's paintings was all capitalised, however the signature in painting under review was not. Despite this inconsistency, Grant Waters was confident that this painting was, in fact, painted by Shepherd. However, Kirklees felt the evidence was inconclusive. 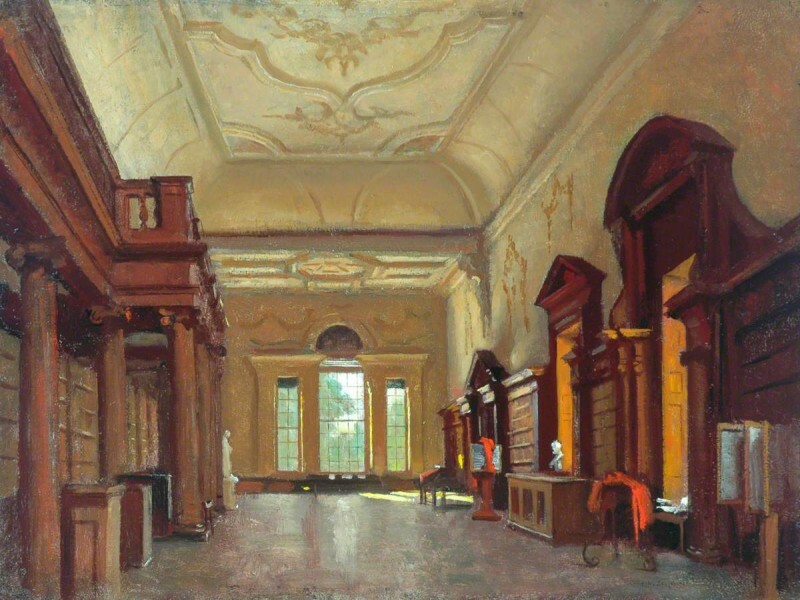 To convince the collection, Osmund Bullock found an article from The Illustrated London News, 27th October 1928, which gave details, as well as images, of five paintings of interiors of Oxford colleges by Shepherd, including the one under discussion. 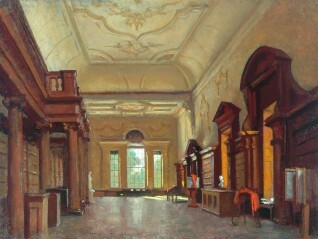 The outcome of the investigation, therefore, not only led to the attribution of The Library, Christ Church, Oxford (and a slight amendment to its title, to match the one it was exhibited under), but a number of other paintings of Oxford colleges by Shepherd that featured in the article! Who painted 'Upper Library, Christ Church, Oxford'?